To protect what matters most, many people resort to big, bulky safes that weigh a ton and employ analog methods of entry that are usually pretty time consuming. But these days, connected devices are all the rage — so why not a safe? That’s the question the team behind the Bluetooth-connected Vaultek safe asked, and the result was a lightweight, carbon-steel unibody safe outfitted with anti-pry bars, protected hinges, and anti-impact latches for maximum protection. With the Vaultek, users have multiple ways to access their valuables: a five-digit numeric keypad, a biometric fingerprint scanner, or by using its companion smartphone app for a remote unlock. The Vaultek’s 32-bit microprocessor makes any option quick, especially considering the safe uses a proximity sensor to ready itself for input. The companion app can also be used to monitor its battery level, adjust the safe’s light level inside the safe, or set up multiple user accounts with the capability to store 20 unique fingerprints. 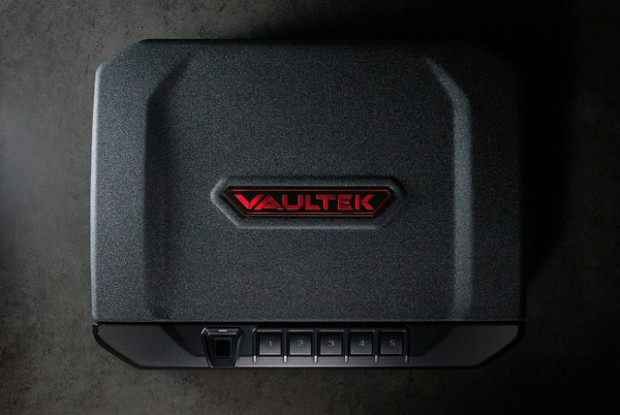 In addition, the Vaultek safe boasts a li-po battery that’s charged in just 2.5 hours and that lasts four months. Beta units are available for $145 alongside limited early bird specials in black, white, pink, and camo priced at about $180 each. All are to be shipped by October 2016 should the device’s flexible Indiegogo campaign raise $75,000 by September 2nd, 2016. The Vaultek is a unique offering in a sea of connected home products that usually keep the home safe through cameras and sensors. It lets homeowners and apartment dwellers be proactive in how they keep their belongings safe and does so in a modern way. But as with anything sporting connectivity — especially those products connected to high-value items — the potential risk of having someone hack into the device or system does exist, no matter how advanced the encryption is.